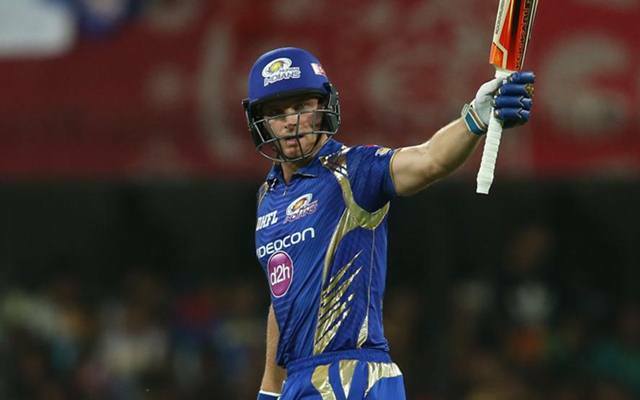 Summary: Rajasthan Royals won the toss and opted to bat first. Although they lost its skipper Rahane early, but as Butler was in great form they started off really well. Butler scored 82 off 58 balls with the help of nine 4s and one 6. However during the second half, the run rate started dropping significantly with RR reaching a total score of 158 for 8 in 20 overs. Andrew Tye was brilliant ending his spell with 34 for 4 in four overs. While chasing, KXIP started very slow as they lost 3 wickets by the end of 4th over. 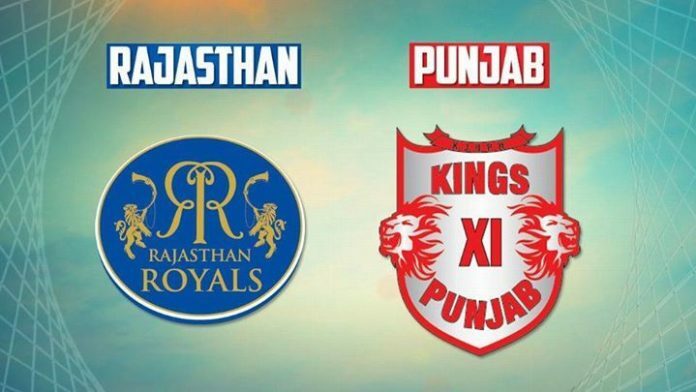 Their opener batsman K L Rahul was brilliant with unbeaten 95, however he also could not save the match for KXIP as no other batsman could support him on the crease. KXIP managed to reach 143 for 7, thereby losing by 15 runs to RR. The match at Sawai Mansingh Stadium in Jaipur was very crucial for the hosts as they were struggling at the bottom of the points table. RR started with attacking mode from the very beginning with Jos Butler taking the lead. 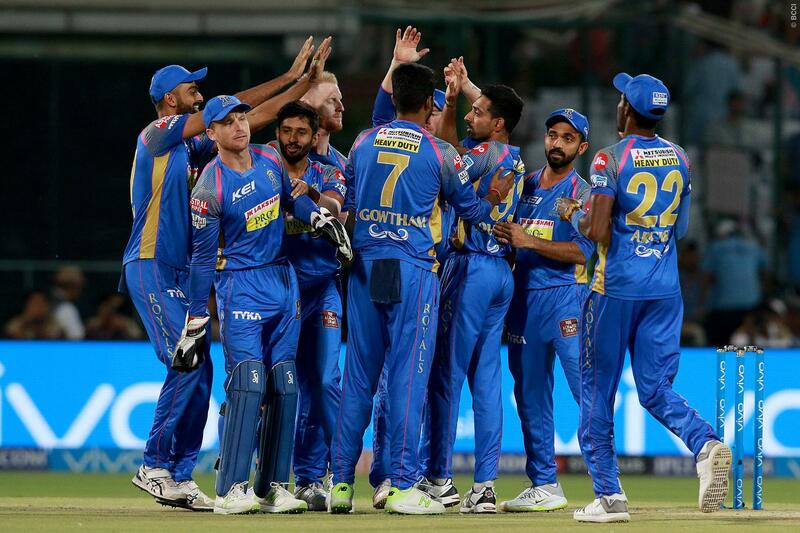 However RR could manage just 158 for 8 in 20 overs, as the wicket started getting slow and they lost 6 wickets in the last 6 overs. Apart from Butler, no other RR batsman could contribute significantly to the total score. Andrew Tye from KXIP was brilliant with his spell taking 3 wickets in the last over, thus ending his spell with 34 for 4. Mujeeb maintained a very low economy rate finishing his spell at 21 for 2 in 4 overs. While chasing a decent score of 159, the KXIP started off very slowly as they lost 3 early wickets. Their star Batsman Chris Gayle had to go back in 3rd over scoring just 1 run in 1 ball. The skipper Ashwin and Nair followed Gayle in the 2nd and 4th over. The projected run rate kept on increasing with every over and they kept on losing wickets. However the only hope was K L Rahul, who showed extraordinarily patience and batted excellently well remaining unbeaten at 95. However, no other batman from KXIP could support K L Rahul, and as a result KXIP lost to RR by 15 runs. Gowtham kept the economy rate very low ending his spell with 12 for 2 in 3 overs. Jos Butler was declared as the Player of the Match. At the end of this match, the hope of RR making it to qualifiers remains alive. RR now stands at 6th position with 8 points in 10 matches whereas KXIP remains in 3rd position with 12 points in 10 matches.